Babies, we spend so much of our lives trying to avoid having them, in the firm belief that one day we can just throw away our birth control and then magically, by the power of our will alone, we will get pregnant. In this day and age when we control so much of our lives with the push of a button or tap of a keyboard, we expect something as basic as our fertility to be completely under our control. It comes as quite a shock to most modern women when this fails to be the case. This is often the first clue that the path to parenthood isn't always an easy one. I realised from an early age that the reproductive organs weren't always co-operative. I hit puberty and I hit a wall of pain. Severe endometriosis sentenced me to days of monthly agony and wreaked havoc upon my body - both physically and emotionally. By my late twenties I was diagnosed with fibroids and ovarian cysts were a regular feature of my thirties. I was told my chances of ever getting pregnant were slim but that just sounded like a challenge to me. And it was one I pulled off! "Ha! Take that you medical experts," I secretly congratulated myself as I retched and swayed through the first months of pregnancy. However, my self-congratulation was short-lived. My first pregnancy ended on a miserable night in January as my body cramped and bled and my heart broke. The loss of my baby wasn't something I ever expected. I'd defied all the odds and got pregnant and I believed my baby was meant to be. It was like a Hollywood script - heroine defeats the odds and goes on to give birth to bouncing baby, this is her reward for all she's been through - cue happy ending. But real life isn't like that, as I was all too painfully aware in the months following the loss of my first baby. Fifteen months later I was pregnant again, older and wiser this time and nervous but as the weeks and months passed my nerves eased and I started to believe I was going to have this baby, that this baby was meant to be. At twenty-three weeks I learned otherwise as I cradled the lifeless body of my little girl in my arms. This loss completely obliterated me. I disintegrated on many levels and life became a "going through the motions" exercise. Eventually, I pulled myself together and realised children were most probably not going to be a feature of my life. How to face this? How to make peace with it? This realisation was like a huge boulder before me made of pure granite, one I couldn't get round, go through or climb over. I knew I needed to break it down piece by piece and this was going to take time. So my response was to wrap up my life as it was and look for a new one. Myself and Big D literally sold up, bought a camper van and hit the road. We didn't know where we were going or what we would do but we knew we needed to go, to try and put some distance between us and heartache and envision a future that didn't involve children. And we were doing really well and having a wonderful time living in the camper van on the west coast of Portugal when I discovered I was pregnant again. Excitement and joy filled our hearts along with terror. The decision to return back to Ireland was an easy one. I knew the doctor I wanted and I knew, if things went wrong, I wanted to be in the care of the incredible people who had carried me through the worst days of my life with a kindness and compassion that I will be forever grateful for. 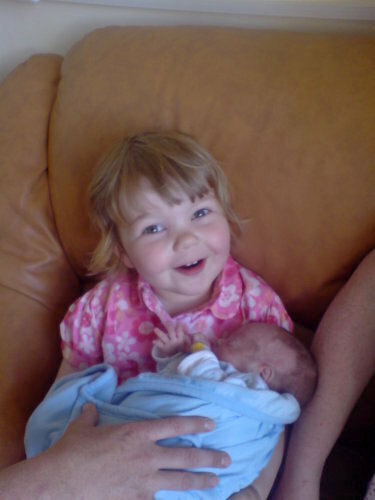 In December 2005 I got the most amazing Christmas present of all, my beautiful baby girl. Two and a half years later, after a difficult pregnancy, four months of hospitalisation and much drama my son was born. He was three months premature and it was touch and go but he made it. 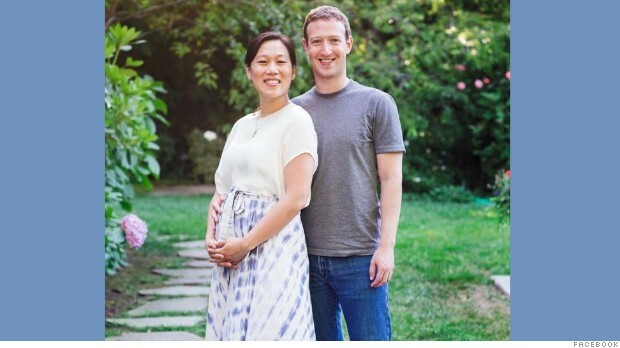 It hadn't been my intention to write about this today but I was moved by Mark Zuckerberg's admission about the three babies himself and his wife, Priscilla, have lost on their journey to try and become parents. Miscarriage is so common and yet is often surrounded by silence. It's a painful subject but it's one that needs a voice. I don't mention my experience often and even writing about it today has seen the tears flowing but I want to add my voice to the discussion. All too often, people don't know how to react to the person who has suffered a miscarriage and some don't even consider it to be that much of a big deal. Well let me give you an insider's view. The loss of a baby is the loss of the future. It is the loss of your dreams and very often the loss of hope. And when a person loses hope, which is very much the case after recurrent miscarriage, then they have lost everything. I think Priscilla and Mark are exceptionally brave trying again after three losses. I don't know if I would have been able to. "Oh well you were only a few weeks along." "It's nature's way of dealing with babies who would have been born severely disabled." "It was probably for the best." "Oh you can go again." "You're young, you have plenty of time to have another one." You might mean well but this is the worst possible thing you can say. They have just lost the baby that meant the world to them. They have no reasons why and you are telling them they can just go on and have another one! This is the most ludicrous comment of all. The person who has just lost their baby can't understand why you would think they would be able to hold onto another baby more than the one they just lost. Sympathise. Embrace and hug. Be kind. Tell the person you are there for them if they need you. Listen. Check in with them. Do something nice for them. Know that the date of the loss is a difficult time, as is Christmas. Just acknowledge their pain and be sensitive to it. I count myself incredibly lucky to have my two beautiful children. When I took my first step towards motherhood, I had no idea of the agony that lay ahead. 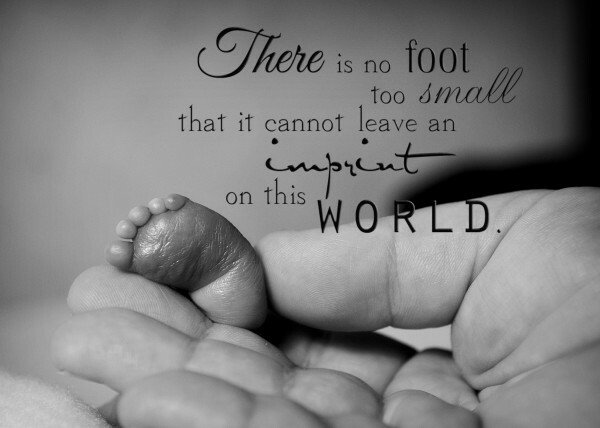 We take what seems to be our right to have children so much for granted and it is only when we are faced with loss and infertility we realise becoming a parent is a gift that is not bestowed upon everyone. If you know someone struggling with this in their life right now then please be kind and sensitive to them because it is something they never thought they would have to face. I sincerely wish Priscilla Chan and Mark Zuckerberg all the best in the months ahead and to any of you who are reading this who are also expecting a baby after a previous loss. I hope happier times are just around the corner. Ah sweetheart, you've got me crying here. Sam knows about his nearly big brother, the little soul who came to visit briefly, but possibly wisely decided then was not the right time. For some reason Sam calls him Ned, he would be 11 now. He (or she, Nedette) was only here for a glimmer, but his brief visit saved my life and set me on a difficult but ultimately much happier path.